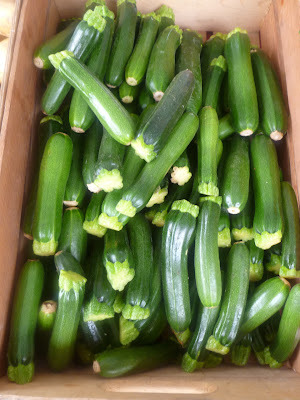 Last Sunday SLO Farm had these delicate baby zucchini, a sure sign that summer is finally here. 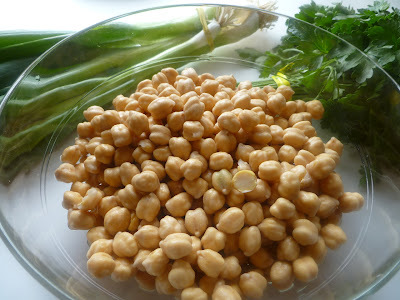 These tender squash are delicious halved lengthwise and grilled, and they made a perfect accompaniment to falafel, prepared with Hunton's Farm's chickpeas. and process into a smooth green paste. 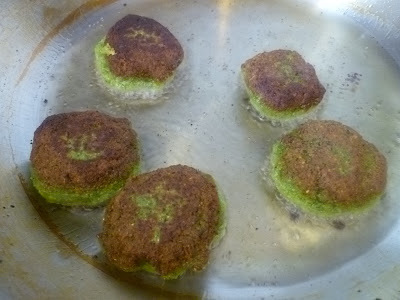 Then shape them into patties and fry them in hot oil (next time I'll use a cast iron skillet, because the grease stains were hard to get off my stainless steel pan). We ate them with grilled zucchini, grilled flatbread, cucumber yogurt sauce, and a delicious raw bietola and snap pea salad with tahini dressing. 1. Soak the chickpeas overnight in a generous amount of water, as they will double in size. 2. 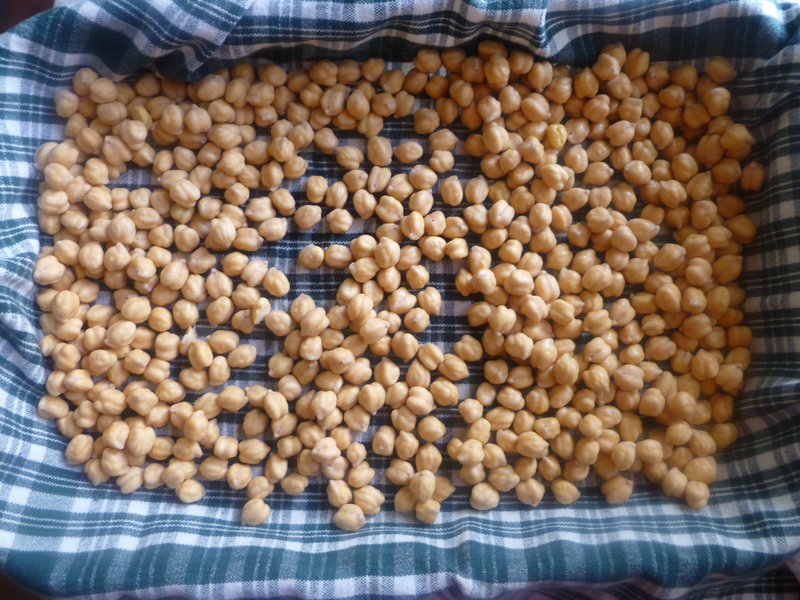 Drain the chickpeas and dry them on a kitchen towel in a pan that will contain renegade rollers. 3. 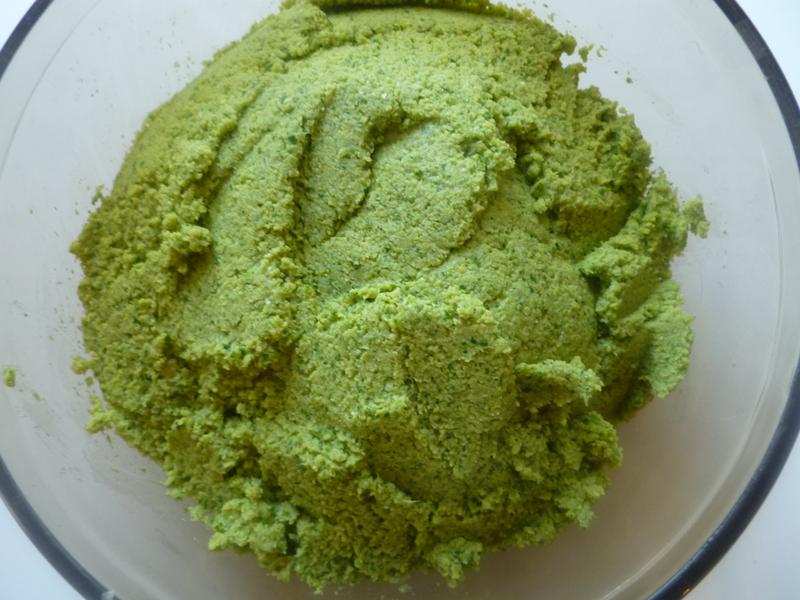 Rinse the scallions, remove the root ends, and put the remaining parts, including the green stems, into a food processor. 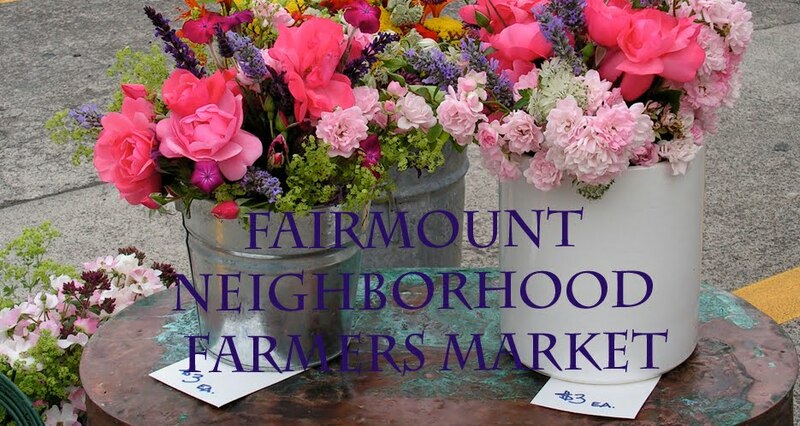 Add in rinsed parsley and mint leaves and chop the greens coarsely. 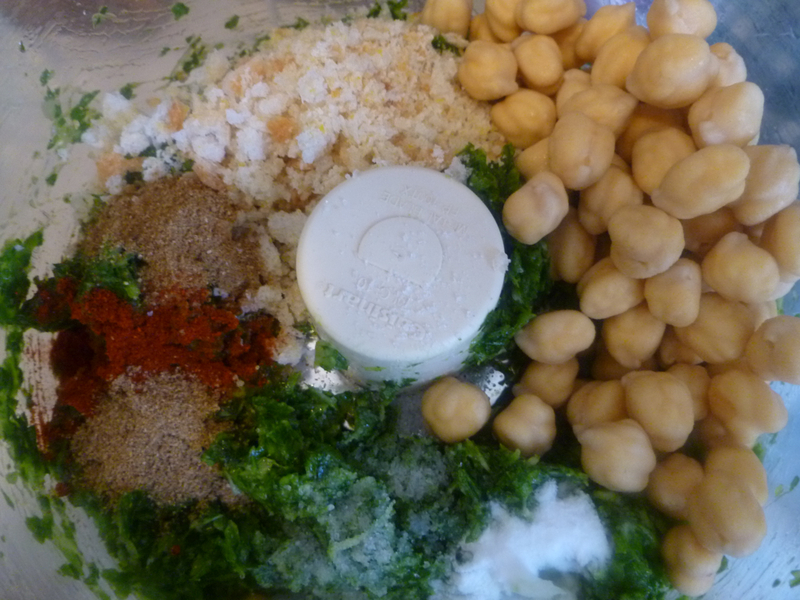 Add the chickpeas, breadcrumbs, and spices and process into a smooth paste. This takes a while, but have faith (and scrape down the sides occasionally). Taste and add more salt if needed. Refrigerate the dough for at least 15 minutes or several hours. 4. Shape the falafel. I made them with an ice cream scoop and then flattened them into patties, but next time I might make them smaller (soup spoon sized) to ensure that they cook through. 5. In a deep pan, such as a cast iron skillet, heat about a half inch of oil until very hot. Test by throwing in a small piece of dough, and if the oil bubbles around it and it browns up quickly, the oil is hot enough. Fry the falafel in batches. 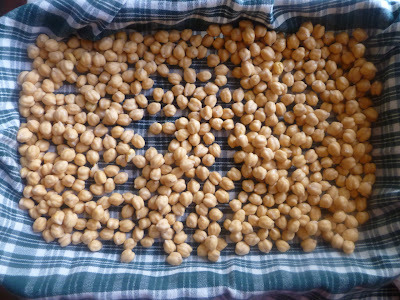 Let them cook for several minutes on each side until they form a deep brown crust all around. Then drain them on a paper towel. 6. 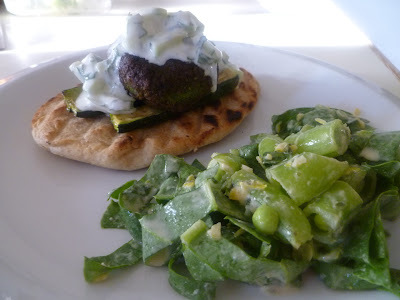 Serve the falafel while still hot on grilled flatbread with grilled zucchini, a dollop of cucumber yogurt sauce, and a teaspoon of harissa if you have some.